Everyday FREE Shipping for 100,000 top products. No Minimum Order Size. Everyday FREE SHIPPING with no minimum order size for 100,000 top products. Just look for the FREE SHIPPING badge on the product page. Get Gift Cards, Cash Backs and Freebies from Popular Brands like HP, Motorola, Sharpie and More. Only at ReStockIt.com. Check It Out Today! Strip Cut Personal Paper Shredder "The 2240 provides the durability and engineering of larger, more expensive shredders,yet easily fits the budget and space constraints of any small office or home." The Formax 8400 strip cut paper shredders offer commercial-grade components in an attractive design. It comes with an LED control panel for easy operation. This shredder is capable of shredding up to 32 sheets of paper at a time. Our low price guarantee on this shredder is unmatched. Order yours today! Strip Cut Shredder "Keep your sensitive personal and business information away from getting into the wrong hands with the Formax FD 8200 strip cut paper shredders. This shredder is compact and designed to handle paper clips and staples. It is also capable of shredding up to 10 sheets of paper at once. Our low price guarantee cannot be matched. Order one today!" Cross Cut Industrial Paper Shredder "High capacity coupled with high performance and a working width of 17 inches for shredding large size data media." The Clary 3900S high-security paper shredder is the perfect choice for shredding top-secret and confidential documents in the office. A large 41-gallon container holds a lot of paper, meaning few bag changes. A 16-inch wide throat lets you shred a wide variety of paper. An automatic sensor detects paper and turns the shredder on and off as needed. Destroy sensitive and confidential documents with the Clary 2200M high-security paper shredder. Both level five and level six shredders cut paper into thousand of pieces. A 26-gallon shred bin means fewer bag changes. This shredder operates at a fast 34-feet per minute. The 12-inch throat is able to shred most sizes of paper. A sensor detects paper and turns the shredder on and off as needed. Mobile, very high performance model for EDP departments and offices floors. Can destroy entire computer listings and shred CDs, store cards and credit cards (5.8/3.9/3.9 x 40 mm only). Practical storage space for paper stacks. Photoelectric cell for automatic start/stop control. Rocker switch for on/off and reverse. Modern electronic controller. Stand-by mode with LED indicator. Stops automatically when the collecting container is full and when the door is open. Automatic stop with LED and convenient automatic reverse in the event of a paper jam. Removable, reusable collecting bag. Color: light grey. High performance model for deskside use, for constant workloads. Also shreds store cards, credit cards and thermo-transfer films from fax machines. Photoelectric cell for automatic start/stop control. On/off switch with integrated reversing function. LED stand-by indicator. Stops automatically when the cut-material container is full or has been removed. Stand-by mode with LED indicator. Removable cut-material container. Color: light grey. Mobile, entry-level model for use in busy offices. Shreds credit cards and store cards with ease. Modern electronic controller. Photoelectric cell for automatic start/stop control. On/off switch with integrated reversing function. Safety element above paper intake. Stand-by mode with LED indicator. Stops automatically when the container is full and door is open. Collecting container with reusable collecting bag. Color: light grey. FACTA compliance right out of the box!! This Dahle paper shredder will last from 10-12 years and will bring your organization into immediate compliance with FACTA security issues. Dahle 20396 High Capacity shredders are designed for shredding extremely large amounts of confidential data. Business manuals, financial records and other important business information can quickly and easily be destroyed. Strip Cut Departmental Paper Shredder "The 3803 is the affordable choice for the computer rooms or for department to share." The 0101 Hard Drive Punch makes the Hard disks totally unusable once they are punched through it. It has the ability to destroy the hard disks at a very fast rate i-e 2 hard disks per minute. Once the hard disks are punched through this machine, the information contained inside them can never be accessed by anyone. 40% OFF: Kobra Shredder C100 Cross Cut Deskside Shredder "Fully automatic cross cut shredder which gives you convenience and powerful shredding of documents. It has a waste bin that can be easily removed for emptying. It can be placed easily on your desk because of its compact design. Its blade can take staples and clips too." 26% Off on Olympia Shredder 1400.6CON Strip Cut Shredder "Olympia Shredder 1400.6 (console) � A paper shredder designed to meet all your office�s needs, because sometimes the smallest things are the hardest to secure. You�ll be glad you own a dependable paper shredder like this gem from Olympia"
48% OFF: Swingline LS32-30 Strip Cut Level 2 Shredder The LS32-30 from Swingline is designed specifically for large corporations with standard security requirements. This innovative shredder can serve the whole office for large volumes. Incorporated with Jam-Free technology the LS32-30 keeps the workflow steady and prevents clutter even with overlapped sheets. It sports self-oil and self-clean features for robust performance. It can shred credit cards and cd discs. It is Eco-Friendly; the auto-shutdown functionality keeps the energy consumption at minimum. 54% OFF & FREE SHIPPING: Clary Shredder 1200X Cross Cut Multi Purpose Office Paper Shredder "This professional data security device is the ideal central device for a mid-sized busy office. Chews through paperclips and standard staples with ease. Ideal for 5-7 person use when added security is necessary." Mobile, high performance model for use as a shared device in busy offices. Shreds store cards and credit cards. Modern electronic controller. Photoelectric cell for automatic start/stop control. On/off switch with integrated reversing function. Stand-by mode with LED indicator. Stops automatically when the container is full and door is open. Collecting container with reusable collecting bag. Color: light grey. 50% OFF & FREE SHIPPING: Clary Shredder 520X Cross Cut General Purpose Office Paper Shredder "Ideal for for general use in an office or low-volume department with high security requirements." High performance model for deskside use, for constant workloads. Also shreds store cards, credit cards and thermo-transfer films from fax machines. Photoelectric cell for automatic start/stop control. On/off switch with integrated reversing function. LED stand-by indicator. Stops automatically when the cut-material container is full or has been removed. Stand-by mode with LED indicator. Removable cut-material container. Color: light grey. 30% OFF & FREE SHIPPING: Formax FD 8500 HS "The Formax 8500 high security cross cut paper shredders offer commercial-grade components in an attractive design. It comes with an LED control panel for easy operation. This is shredder capable of shredding up to 6 sheets of paper at a time. Our low price guarantee on this shredder is unmatched. Order yours today!" The Formax FD 8500AF Auto-Feed Office Shredder features a dedicated Auto-Feed Hopper which allows users to load up to 175 sheets up to 11" x 17" and can accommodate 16-18 sheets at a time with 16" width, press the start button and walk away no more standing in front of the shredder. It comes with commercial-grade feature too which includes an easy to use LED Control Panel with load indicator, heat-treated steel blades, a steel cabinet, lifetime guaranteed waste bin, and a powerful AC geared-motor which ensures years of reliable performance. It can shred staples, paper clips and credit cards in hand-feed throat Manual Function can be used to shred paper or films which cannot be detected by the sensor. The Safety Circuit Breaker ensures safe operation. The Formax FD 8500AF has an incredible speed of 33 feet per minute. 42% Off on Destroyit Shredder 2260SC Strip Cut Personal Paper Shredder "The newly redesigned model 2260 offers increased paper capacity and an integrated window that shows you when to empty the shred bin." Warranty: Life time warranty on cutting heads & 1 year warranty on mechanical parts (parts only)! Cross Cut Departmental Paper Shredder "The competitively priced 4002 makes high capacity shredding more affordable. 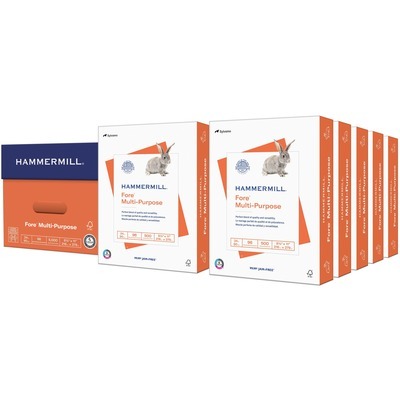 The heavy duty 4002 shreds thick piles of documents and file folders at once." Micro Cut High Security Paper Shredder "Approved for Top-Secret level government use, including D.O.D. and N.S.A., this Destroyit� models provide absolute security by producing a Super Micro-Cut shred size." 35% OFF on Dahle 580 paper cutters - 32"
The Marquis iFold 100 offers unlimited versatility, with the large variety of folds that it can perform. No matter which type of fold you choose, it is delivered accurately and reliably. Your mail, inserted through the daily mail input, will appear professionally prepared. Save $341 on RotaTrim T1550 Technical Rotary Trimmer 61"
The new, affordable Foliant Series laminators provide the perfect solution for high quality single side lamination of book covers, brochures, magazine covers, and more. Until now single side lamination systems have been prohibitively expensive for small commercial print shops and book publishers. The new, affordable Foliant Series laminators work with a variety of thin gauge (1-2 mil) films. An excellent laminated finish is ensured by a chrome-coated working roller regulated by exact thermal control. Free Shipping: ROTATRIM T650 TECHNICAL TRIMMER 26"
The Martin Yale 3800 series Paper Perforator offers the user easy set-up and change over to perforate and/or slit in one pass. The Martin Yale 3800AP is available as a forms cutter or perforating machine, and additional components can be added. The Formax FD-100 check signer is ideal for signing either 7" or 3-1/2" continuous checks or documents. An optional tri-color or ultraviolet ink roll is available for added security. The ultimate industrial use electric corner rounding equipment. Ideal for large jobs that require high productivity. The Diamond 5 is carefully crafted with only the highest quality components. The Martin Yale 970A bursts up to five part forms and is simple to set up and operate. This burster is capable of slitting the edges off of a single ply document only. BM 101 is and Easy-To-Use, Lightweight, Mobile Booklet Maker. It only takes seconds to set-up the machine. Change of paper size quick and easy and it is completely mobile to set-up anywhere. This model is for professional use and is indispensable in advertising agencies, graphic design and photographic studios, as they give a burr-free cut. Special Offer Shop today and save an additional 10% OFF use coupon code "SHARE10"
Special Offer Shop today and save an additional 10% OFF use coupon code "8356620"
Free Letter Opener, Correction Fluid & amp; Paper Clip Dispenser with Paper Clips! 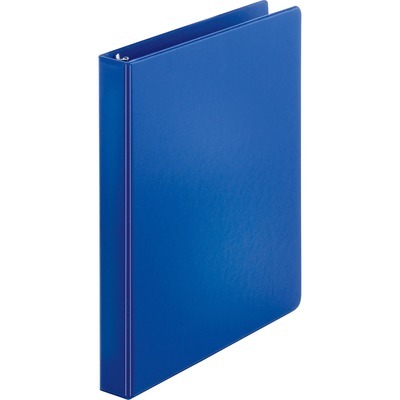 Save up to 70% on Classification Folders, Pocket Folders, & amp; Portfolios! Save up to 72% on Ring & amp; View Binders! 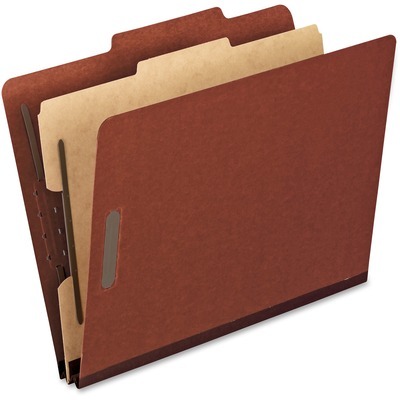 Most Binders discounted by 65-70%! You have your brand identity on Twitter, Facebook, MySpace and maybe Linked In, but do you know if someone else is using it on the other 350 social media sites? Check the availability of your brand or username free at Knowem. Then create a free profile to use to register at the rest. World Class Ink is now offering Free Shipping on ALL orders! No minimum order requirement. <<<< FREE 200K STREETWISE STUN GUN >>>> SPEND MORE THAN $100 ON STUN GUNS - RECEIVE THE 200K STUN GUN FREE limited time only - save $29.95! - free stun gun will be shipped with your order and arrive with your requested shipment. Dummy Dome Talking Motion Camera - Cheapest Dummy Dome Camera On The Net! Features: -> Motion Activated Up To 9 Foot Range -> Comes With 9 Voice Warning Messages (Can be left silent too) -> Realistic Looking - No One Will Suspect It Is Fake -> Easy To Install -> Only Requires 2 AA batteries (not included) -> Affordable Price With Free Shipping Voice Warning Messages: -> Warning! Warning! -> Security Alert! -> You are entering a restricted area -> Touch nothing. Touch nothing. -> Turn around and walk out -> Please leave now! -> I repeat, please leave now! -> All your moves are being watched! -> The authorities are being notified! Talking Motion Sensor - Cheapest Talking Motion Sensor On The Net! Features: -> Motion Activated Up To 9 Foot Range -> Comes With 9 Voice Warning Messages -> Realistic Looking - No One Will Suspect It Is Fake -> Easy To Install -> Only Requires 3 AA batteries (not included) -> Affordable Price With Free Shipping Voice Warning Messages: -> Warning! Warning! -> Security Alert! -> You are entering a restricted area -> Touch nothing. Touch nothing. -> Turn around and walk out -> Please leave now! -> I repeat, please leave now! -> All your moves are being watched! -> The authorities are being notified! Window / Door Alarm - Cheapest Window / Door Alarm On The Net! Capitol Supply offers FREE SHIPPING on all orders over $49.99! Restrictions: There are few 'freight only' items on our site that may incur an additional shipping charge. Those items are clearly marked. PeopleFinders' massive people search database retrieves billions of hard-to-find public records, cross-checked for accuracy, hard-to-find addresses, missing phone numbers and lost email for the person you are searching for. Why rush to mall just to find the right gift for your special someone when you can shop from home? 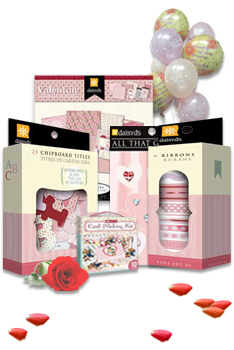 Check out our popular die cuts, stickers, gift boxes, rub-ons, ribbons, 12 X 12 paper, 8 x 8 paper and more! Receive a 15% discount at checkout when you purchase ANY Valentine's items $35 and up from Daisy D's. Hurry! Only whily supplies last! Restrictions: May not be combined with other promos. Promo valid until supply lasts. Whatever the occasion, business or social, formal or casual, everyday or holiday�we've got a paper for that! Paper.com offers the full line of over 2000 designs from Masterpiece Studios. Great Papers! features laser and inkjet decorated papers, easy-to-print invitations, easy-to-print social and wedding kits, poster boards, business stationery, and certificates and accessories. Rainboworld! 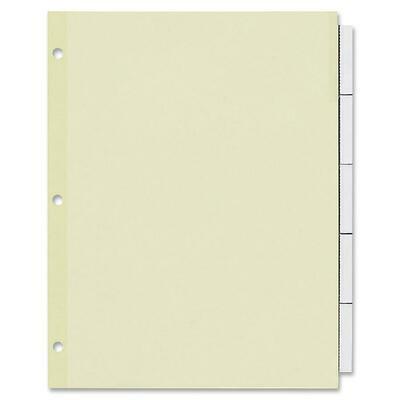 Papers Collection offers acid & lignin free scrapbooking papers and accessories, imprintable and fill-in-the-blank invitations, graduation announcements and thank you notes. Expressions of Faith presents Christian and Inspirational scripture stationery, papers and cards. Help your customers turn life's moments into a masterpiece with our fine selection of papers and cards. Note: Sale price will be shown in shopping cart.